How to Draw a Deployment Diagram in UML? Current: How to Draw a Deployment Diagram in UML? What and who will connect to or interact with system, and how will they do it? What middle-ware, including the operating system and communications approaches and protocols, will system use? How to develop Deployment Diagrams? 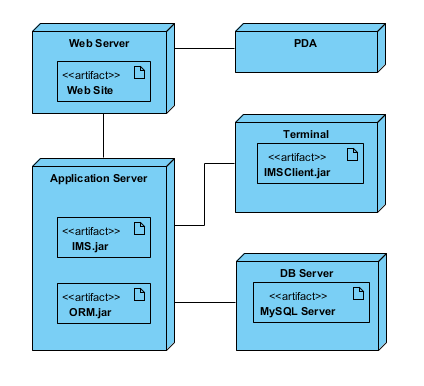 The steps below outline the major steps to take in creating a UML Deployment Diagram. Click Diagram > New from the toolbar. 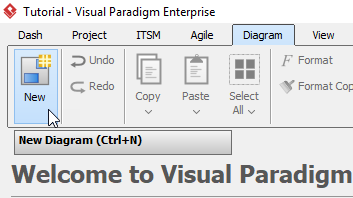 In the New Diagram window, choose Deployment Diagram then click Next. The search bar can help you searching the diagram. Name the diagram, then click OK. In this tutorial, we will name the diagram Deployment Diagram Tutorial. 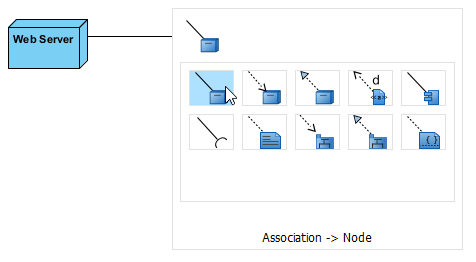 To create the first node, choose Node from the menu on the left, then click on any empty space on the diagram. Rename the node by double clicking the name. To create a node which associates with other nodes, click on the node (Web Server in this case), then click drag the resource icon Resource Catalog. 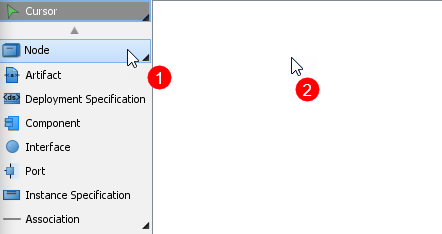 When you release the cursor, a popup menu will appear. Select Association -> Node form the menu, a new node will be created. Repeat step 5 to generate more nodes. To create an artifact for a node, click Artifact from the menu on the left, then click the desire node. Rename the artifact by double clicking the name. Repeat step 7 for more artifacts.